Happy Thanksgiving! William Arthur Ward wrote “Gratitude can transform common days into thanksgivings, turn routine jobs into joy, and change ordinary opportunities into blessings.” At our Thanksgiving table today we will be enjoying these moist and delicious Carrot Cake Cupcakes…hope you’re all enjoying a wonderful meal with family and friends. Heidi & I wish everyone a blessed holiday. Heat oven to 350°F. Place cupcake liners in a muffin tin that makes 12 cupcakes. In a large mixing bowl combine the flour, sugars, cinnamon, ginger, allspice, baking soda, baking powder, salt, applesauce, canola oil, vanilla and eggs. With a wooden spoon hand mix until all ingredients are completely incorporated. Stir in the shredded carrots. Drop 1/3 cup into each liner. Bake 20 minutes or until cupcake top springs back when lightly touched. Cool. Make the cream cheese icing. In a large mixing bowl using an electric mixer, cream the butter & cream cheese. Mix in the vanilla. Slowly mix in the confectioner’s sugar. Mix until nice and creamy. 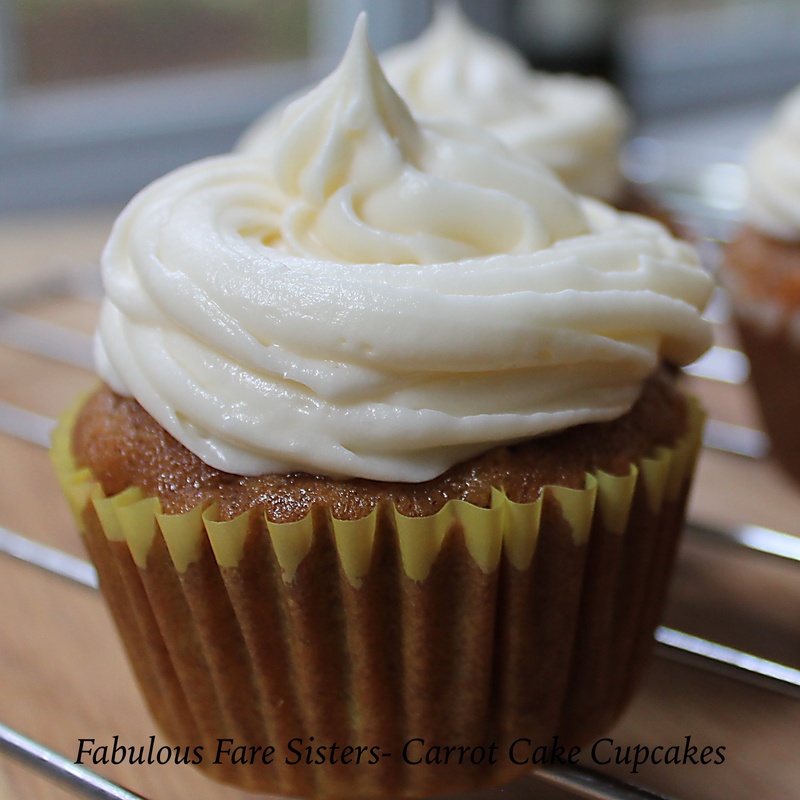 Frost the cooled Carrot Cake Cupcakes and devour…makes 14 cupcakes. Love the look of that icing! Oh I have some cream cheese that I bought and this is calling my name. Wow that looks amazing!! Enjoy & Happy holidays! What an amazing quote. I am thankful for everything. A heart is gratitude is never dated. Opens the door for more blessings. Thankful for you and all you do Linda. Great recipe. Looks delicious. Thanks Laura! Have a lovely weekend! 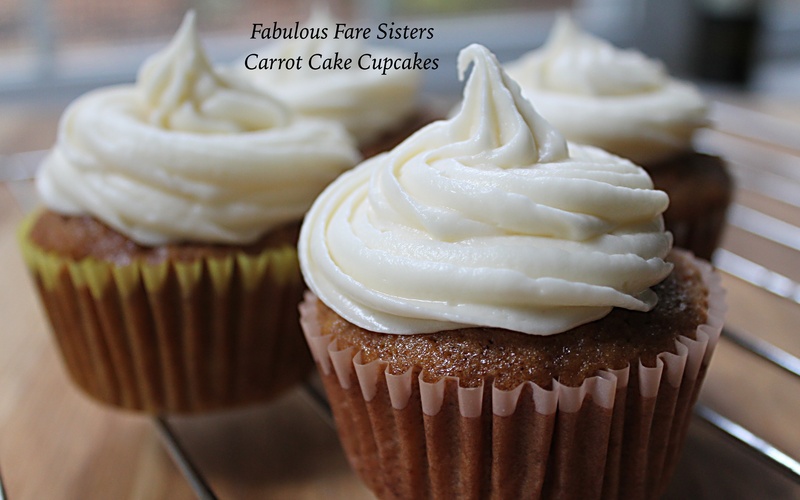 Love these beautiful cupcakes ! Thank you!! Hope you had a great day!